Wassup everyone, this is Atiba Taylor here to report in with my diary. On Mondays I was off but Tuesday and Wednesday I worked out hard with my trainer, Chris Brickley. Chris use to play for Louisville and now is the trainer for the NY Knicks and he’s helping me develop my game. 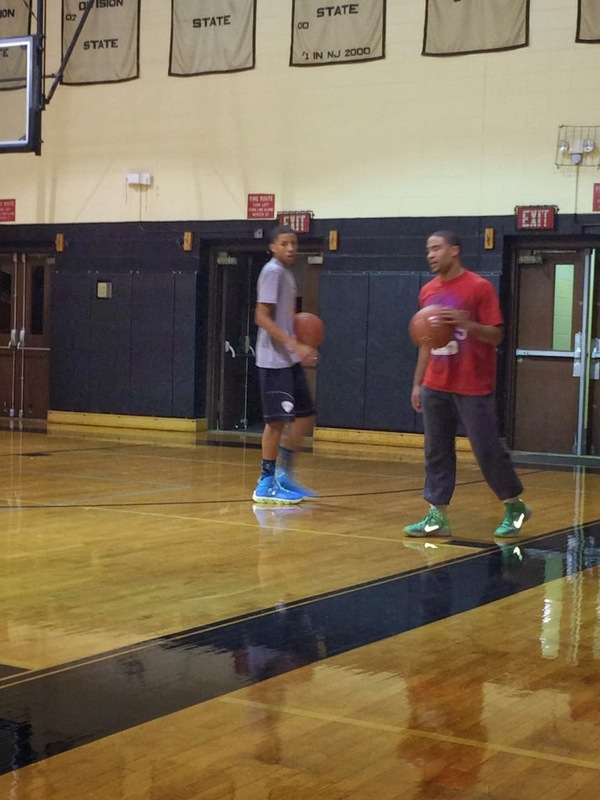 We work on ball handling drills, shooting, form, balance, speed, mid-range jumpers, and much more. Chris pushes me to another level; we do a lot of conditioning while doing his drills so I’m usually beat after the workouts. One time Chris let me join his workout with the former Rice Raider, McDonald’s All American, Seton Hall star, and former NBA bound Andre Barrett from NYC. My dad told me he played against Barrett a few times in some AAU tournaments back in the day, he said Barrett was the Real Deal and I could learn a lot from him. Thursday my team was suppose to have practice but it got canceled. Friday was my last day of school before winter break; I cannot wait for Xmas to get here. I finished some projects and took a few tests so now I could relax from the classroom for a little bit. We went on a school trip to learn about the Holocaust, which was a terrible event. The movie left me in a lost for words and I really couldn’t understand why people treat others the way that they did back then and even in today’s world. 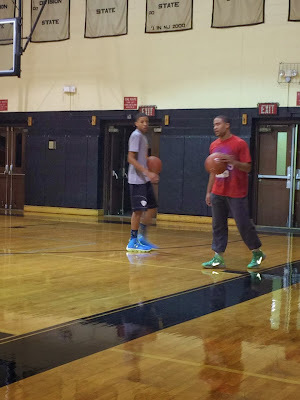 After my field trip, I rushed home so my dad and I could make it to the Roselle Catholic vs. The Patrick School game. When we walked in and the gym was jammed packed; I mean the turnout was crazy! I can’t wait to play in that type of basketball environment next year. Roselle’s team is loaded with talent. Even though The Patrick School has a much younger team; Roselle won. The game was very exciting. Saturday and Sunday I went to practice. There were some new faces in the gym and that was a good thing. We worked on a lot of things that needed to be addressed from our first tournament. Once we get or chemistry back together we’ll be more than fine. I can’t wait till our next tournament because regardless where it is and who we play against IT’S A MUST WIN!!! After practice Sunday we went to watch Roselle Catholic vs. Teaneck and St. Anthony’s vs. Pope John at West Orange High School. West Orange HS hosts a showcase every year that a lot of teams play in but we only caught those two games. Roselle won big over Teaneck and St. Anthony’s was punishing Pope John so we left at halftime.